The Fred Jackson Award is an exclusive recognition for our club. 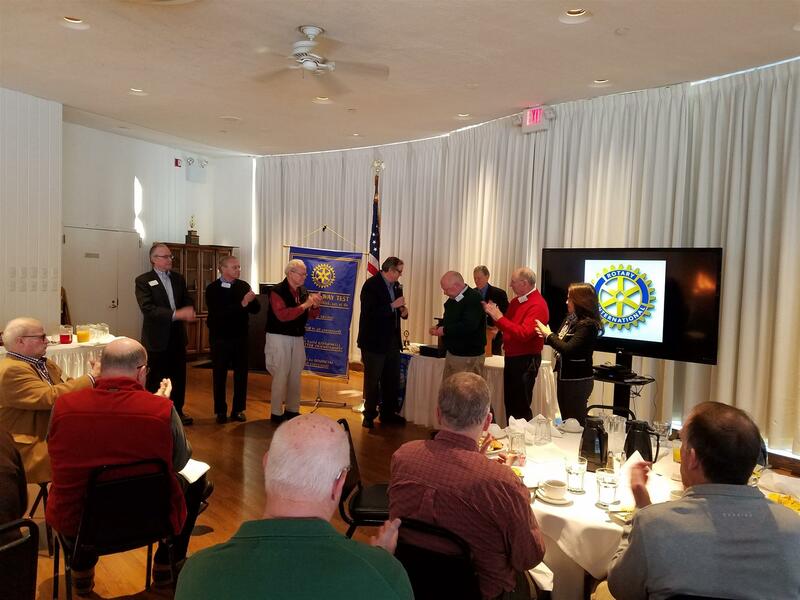 Named after our Member, Fred Jackson of Lake Forest, this honor truly recognizes the Rotary motto "Service Above Self". Immediate Past President, Bill Summers and Fundraising Chair Larry Kuhl, bestowed this honor to members recently. Pictured recipients (from L-R) Jerry Kelly, Cary Nusslock, Russ Clark, Art Lewis, Tom Coyle and Ann Trandai. The club would like to recognize Art Lewis for his generosity in making much of this happen. Congratulations to all!